I wanna be that guy... No you don't!! 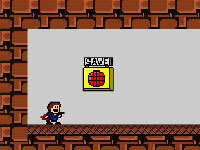 find the way out on this funny crazy game inspired by popular games like Mario Cat and Give up! Tell us what you think about I Wanna Be The Guy. Leave a review or share a tip.